George Moncur in action for Colchester against Posh. Peterborough United have signed midfielder George Moncur on loan from Championship side Barnsley. It’s a stunning development as Posh tried, and failed, to sign Moncur from Colchester for £500k in the summer. 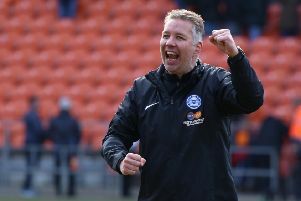 Posh agreed a fee with the League Two side, but Moncur chose instead to join Barnsley. But the 23 year-old has started just one game for the Tykes - a 2-1 Football League Cup defeat at the hands of Northampton on August 9 - and made just one substitute appearance in the Championship, on the opening day of the Football League season. Moncur, a West Ham Academy player, scored 14 goals for Colchester last season even though the Essex-based club were relegated. Moncur’s loan deal will initially run until January.